NUFC Blog. 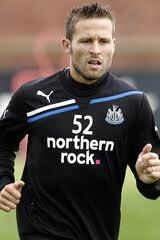 » Blog Archive » Newcastle’s Yohan Cabaye has sustained an ankle injury. Newcastle’s Yohan Cabaye has sustained an ankle injury.